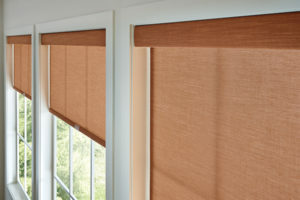 Benjamin Draperies offers a wide variety of styles of shades for various functions that changes the look and feel of a room or office. 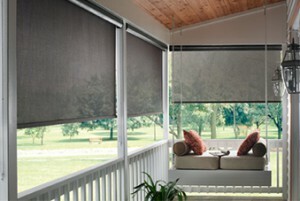 We have shades that provide UV protection, reduce glare, are energy-efficient or can black out most light. 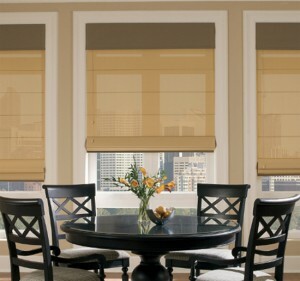 The shades come in different designs, fabrics and lifting systems. 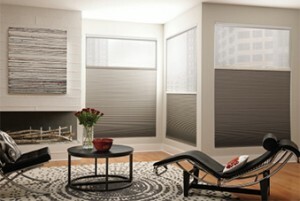 Solar Shades are ideal choice for maintaining an exterior view while keeping heat out and coolness within; available in a wide range of openness to bring in just the level of light you want, and they protect valuable furnishings and interior surfaces from harmful UV rays; preferred in office and commercial environments. 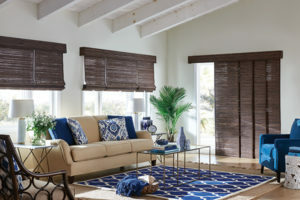 Roman Shades are offered in luxurious fabrics and soft folds give this style of shades an elegant and decorative look, with the added benefit of enhanced child safety; offered in sheer, semi-opaque and room-darkening fabrics and selection of fold sizes help you create warm, inviting, beautiful windows. 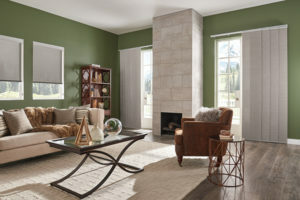 Woven/Natural Shades are crafted from renewable resources such as bamboo, jute, reeds and grasses to bring casual or exotic style to any room; provides a warm and organic look to the room; these shades can be lined for privacy or light control. 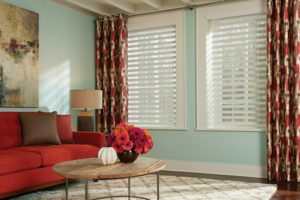 Sheer-Shading Shades are the perfect combination of shades, blinds and shutters to control natural lighting from the outside with varying degrees of privacy; closed they provide privacy and a soft glow; opened they provide a soft view while maintaining UV protection; ideal for formal settings and master bedrooms.